She's just 8 inches tall but a colorful masterpiece of bright colors and bewitching patterns. 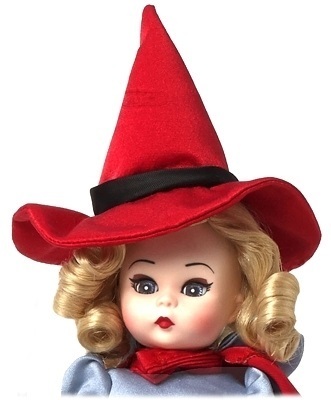 She has a red witch's hat and cape and she is wearing a lovely high-low purple skirt. Her black and white striped stockings match her sleeves and her black corset top. 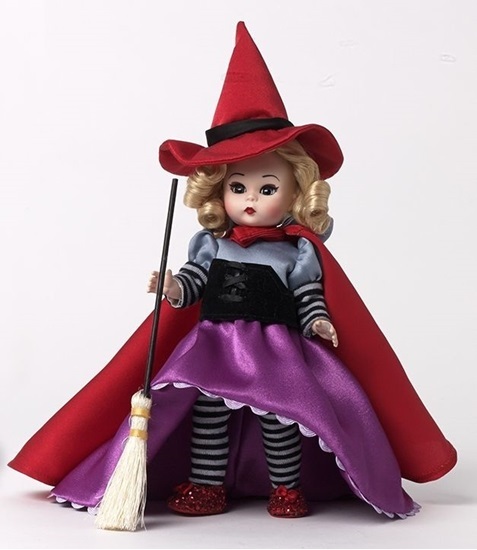 The famous red glitter shoes and a straw broom complete her outfit. 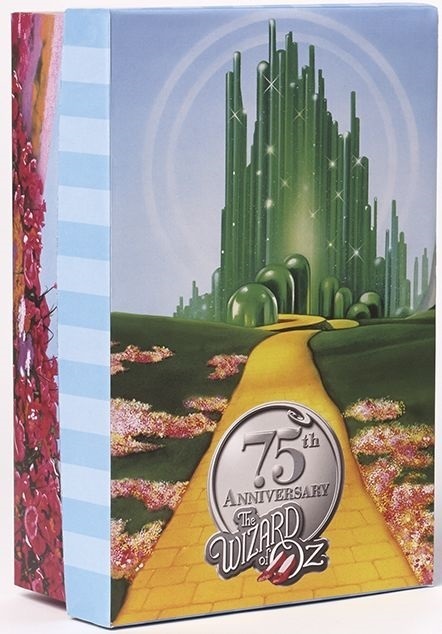 She comes in a special box which depicts scenes from the movie. This is a limited edition which commerates the 75th anniversary of the famous movie: The Wizard of Oz. She is truly a treasure you won't want to miss. 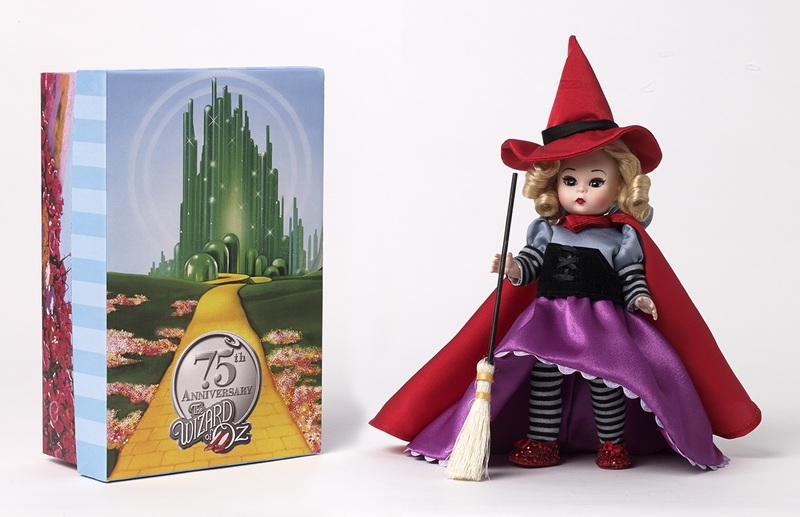 The Wicked Witch of the East is 5-way jointed, with straight legs, has blond shoulder length curls and blue sleep eyes. She has a special wrist tag commemorating the 75th Anniversary.